Crosset Hill Lodge Conveniently located just off route 100 between Stowe, Sugarbush, and Mad River Glen in a pristine forest setting, the Lodge consists of two separate units, the Loft and the Terraces. At five miles from the Heady Topper brewery and Ben & Jerry's factory, and three miles from Amtrak and Interstate 89, the Lodge is easy to get to and easy to visit. Contact Jim Lengel, 508 904 0749, jim@lengel.net, or click to learn more. 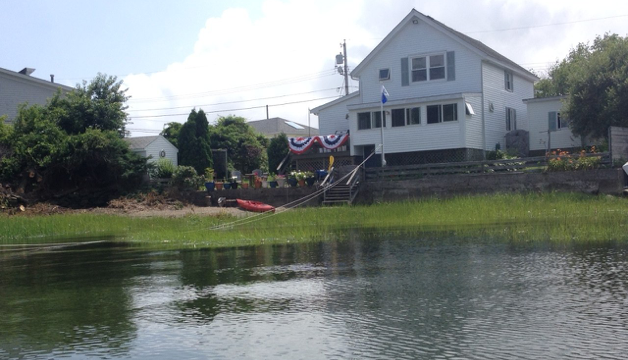 Cedar Cove Cottage On the waterfront of Narragansett Bay, Cedar Cove Cottage offers weekly and nightly getaways, accessible by car, boat, or bicycle. Two separate apartment units of two bedrooms each, plus waterside deck, picnic pergola, fire pit, private yard, and private beach welcome families interested in the beach, boating, the outdoors, and life by the water. Contact Jim Lengel, jim@lengel.net 508-904-0749, or click to learn more. Au Pied du Château Au Pied du Château looks out on the village square and the Château de Bourdeilles, a medieval castle with a renaissance addition. 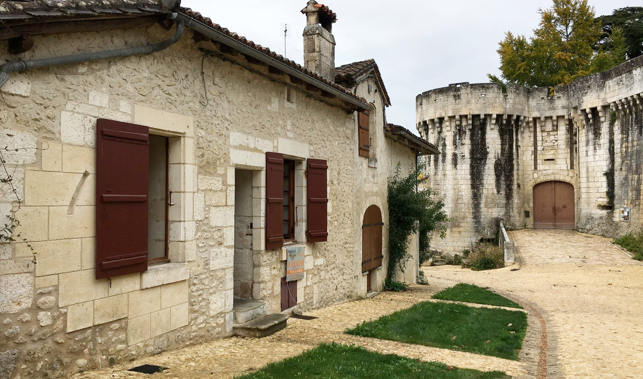 Au Pied du Château is a little townhouse nestled into the center of a lively village in the Dordogne department in the Aquitaine region of the south of France, in an area known as Périgord. With two bedrooms, bath, kitchen, and living room, Au Pied du Château accommodates four adults and two children. Fully furnished and equipped, it can be rented for a week, a weekend, or a few days. 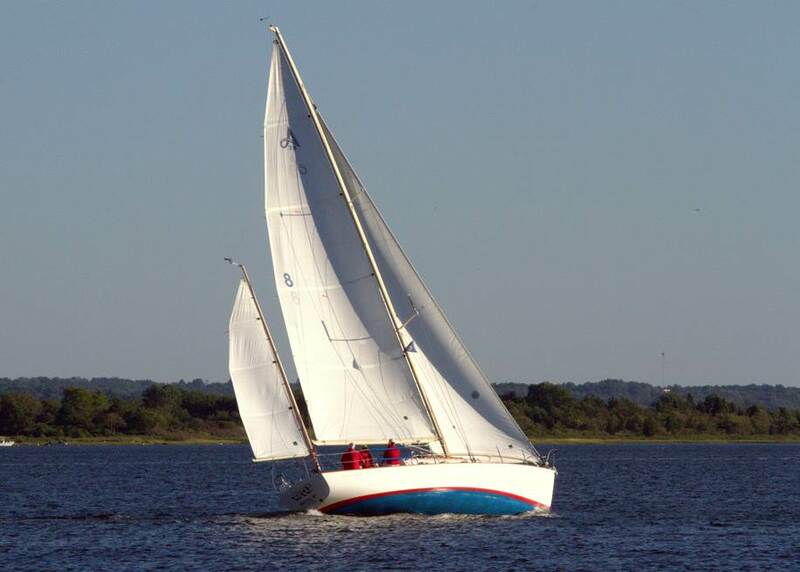 Top Cat Sailing Learn to sail, enjoy a dayor sunset cruise, or travel to the islands on Top Cat, our Alerion Express 38 Yawl. Click to learn more. 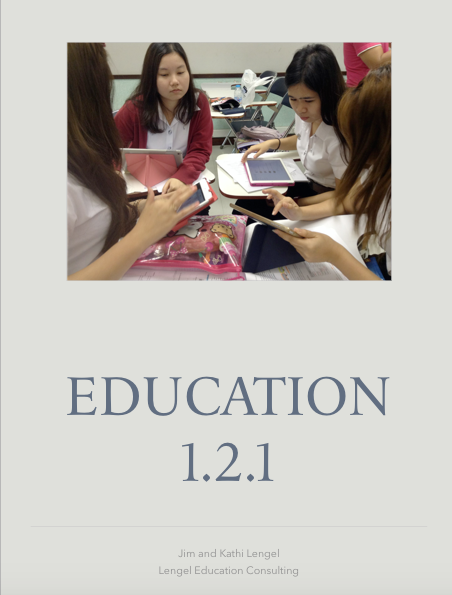 Education 1.2.1 Our 2016 book on one-to-one technology in schools is available on the iBooks Store and will soon be available on Amazon. Click to learn more. 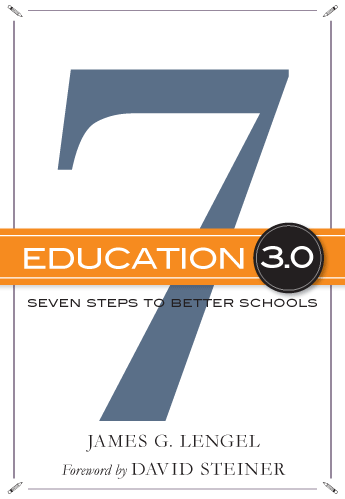 Education 3.0 Jim's book on vision and planning for schools is published by Teacher's College Press. Click to visit the book's web site. Integrating TechnologyKathi and Jim wrote this book about putting technology to work in schools. It's published by Allyn and Bacon. Click to visit the book's web site. Education 1-2-3 How our schools need to change to serve the needs of the modern economy, while at the same time capitalizing on the industry and energy of youth. A Day in the Life: Education 3.0 What does Education 3.0 look like, from the point of view of a student? Some examples from schools on the cutting edge, and relying on mobile learning. Assess Yourself How to set up a comprehensive system to identify your most important goals as a school, assess them regularly, and report them effectively to your various constituents. iPad for Learning (hands-on) How to configure an iPad to serve as a library, a teacher, and organizer, and a communicator in the hands of students -- and of their teachers. iPads for School Leaders (hands-on) How a school director or principal can use an iPad for teacher observation, faculty communication, school assessment, and day-to-day administrative and creative work. iPad 1-to-1 Hands-on Planning for school and district leaders. Participants develop a vision and implementation plan for a 1 to 1 iPad program, including professional and curriculum development, app management, workflow, and network services. Building a Digital Campus An overview of how the world's leading universities are changing the nature of teaching and learning through the application of technology. Rethinking the Lecture (hands-on) Helps faculty members prepare engaging multimedia lecture presentations, incorporating visual communication techniques and active learning strategies. Podcasting 101: What, Why, and How (hands-on) An introduction to the power and possibilities of podcasting for teaching and learning, with a live look at podcasts from other colleges, and a live demonstration of how a podcast is constructed and published. Podcasting 102: Roll Your Own (hands-on) Build a short podcast from your own content. Learn the characteristics of a successful podcast, then combine voice, images, and music to create and publish your own podcast. iPad Learning Simulation (hands-on) Participants take on he role of students and work their way through a learning sequence that uses the iPad to research, learn, reflect, organize, and communicate academic information. Build an iPad Presentation (hands-on) Use Keynote to build a presentation in your area of specialty. walk away with a useful product as well as hands-on practice with he iPad. Design an iPad Learning Sequence (hands-on) Design a series of iPad-using assignments for one of your courses. Mobile Learning Around the World How mobile devices in the hands of students and teachers can transform what we learn, how we learn it, where, and when we carry on our educatiLEC, Inc.
Jim and Kathi's work is organized through Lengel Educational Consulting, Inc., a Rhode Island corporation fully insured, licensed, and registered with Federal and State authorities. Rochester, NY; Denver, CO; Mesa, AZ; New York City, NY; Ballston Spa, NY; Killingly, CT; Grafton, MA; Nauset, MA; Aurora, CO; Hyde Park, VT; Falls Church, VA; Burlington, VT; Dartmouth, MA; Wolcott, CT; Brattleboro, VT; Chester, VT; Windham, NH; Hong Kong, CN; Copenhagen, DN; Malone, NY; Lubec, ME; McAllan, TX; Waco, TX; Charleston, SC; Broward County, FL. 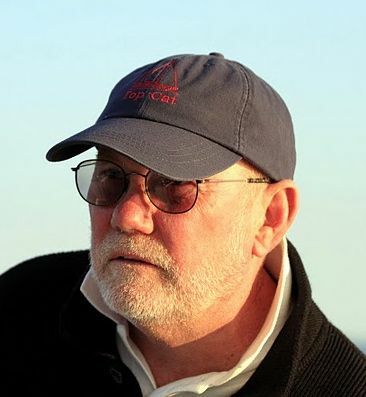 Apple, Cisco, Microsoft, IBM, Sony, Amplify, National Association of Independent Schools, National Association of Secondary School Principals, National School Boards Association, Council of the Great City Schools, Massachusetts Principals Association, Connecticut Principals Association, New Jersey Principals Association, Rhode Island Principals Association, Vermont Principals Association, Texas Association of School Administrators, East Asia Regional Council of Overseas Schools, Federation of Overseas British Schools, Gates Foundation, Association of Independent Schools of New England. Harvard University, Springfield College, Shenandoah College, Bridgewater State College, Jakarta International School, University of Thailand CC, South China University of Technology, City University of New York, SUNY Buffalo, Mitchell College (NC), University of Nantes (France), Ruamrudee International School (Bangkok), Thaksin University (Thailand), American International School of Guangzhou (China), SENAI School of the Future (Brazil), University of Pernambuco (Brazil), Rhode Island College. Click to send an email message to Kathi. a former teacher and school principal who for the last 16 years has helped teachers and school leaders integrate technology into their work. Her clients include Apple, Inc. in the US, Europe, and Asia; Principals Associations in Massachusetts, Rhode Island, Connecticut, and New York; Cisco Systems in NYC; the Killingly Public Schools in CT; and the Pennfield School in RI. 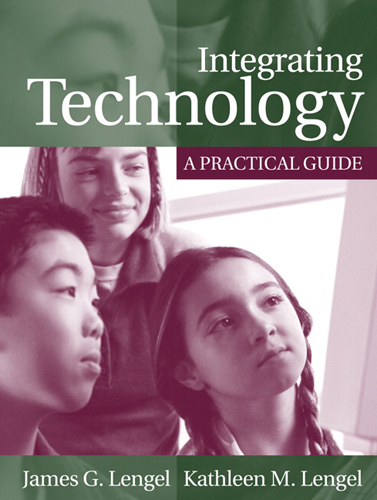 An author of dozens of teacher guides and online courses for Apple, Inc., she co-authored Integrating Technology: A Practical Guide, published by Allyn & Bacon in 2006. She holds a BS in Early Childhood Education and an M.Ed. in Administration and Planning. She holds adjunct professorships at both Hunter College and Fitchburg State University. 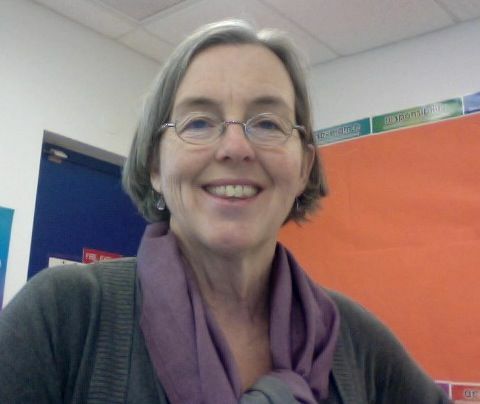 Since October, 2010, Kathi has introduced the iPad in more than 75 workshops in MA, RI, NYC, NH, and Vermont to more than 1,500 educators.